Sony’s campaign to streamline its business and recast itself as a global entertainment powerhouse of video games and superhero films have been boosted by the company’s highest quarterly earnings in 18 months, and a shot at its most profitable year on record. Leading the turnround is the PlayStation 4, the games console whose 60m-strong installed base is around twice as big as its nearest competitor — Microsoft’s XboxOne — and whose titles dominate weekly top 10 rankings of global console game sales. 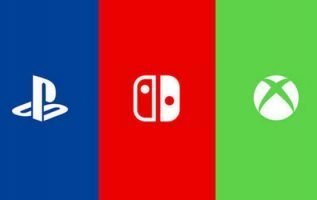 The games division, say analysts, is likely to be the largest contributor to Sony’s profits in the 2017 fiscal year as gamers prepare for a strong line-up of pre-Christmas releases and the company consolidates its position in a global market estimated at $100bn. Investor faith in Sony’s president, Kazuo Hirai, has driven a 36.2 per cent surge in the company’s stock since the start of 2017, five times the gain of Japan’s benchmark Topix. There were encouraging signs too from the Sony Pictures division, which has lacked reliable blockbuster hits outside the James Bond franchise and was responsible for a $1bn writedown in January this year. In a note published last week by Goldman Sachs, which forecast full-year operating profits of ¥800bn for the year ending March 2021, analysts identified Sony’s movie business as the next area of earnings improvement. After a string of fallow years, said Goldman Sachs’s Masaru Sugiyama, last month’s release of Spider-Man: Homecoming has revived the possibility that Sony’s attempts to establish a major superhero movie franchise are starting to bear fruit. 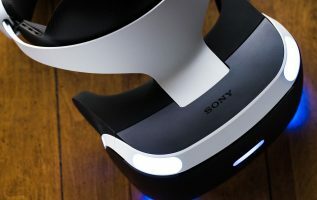 Operating profits for the April to June quarter of 2017, at ¥157.6bn, were flattered by year-on-year comparison with a period where Sony’s operations were hit by an earthquake, which affected sensitive facilities making image sensors and semiconductors, in the Kumamoto region. Operating profit for the recent quarter were almost triple the number logged in the first quarter of fiscal 2016. The company left its forecast of ¥500bn operating income unchanged, but analysts described it as “a target waiting to be exceeded”. If historic patterns hold, and Sony’s third quarter is the strongest of the year, analysts suspect the company could be on track for better full-year profits than the record ¥526bn set in fiscal 1998. Eyeing stronger contributions from home entertainment and imaging products, along with the tailwind of a still soft yen, the Japanese group did raise its full-year group revenue target by 3.8 per cent from its April forecast to ¥8.3tn. Net profit of ¥80.9bn was almost quadruple that of a year ago, as Sony’s semiconductor and imaging products & solutions segments received insurance payments related to the Kumamoto earthquake. Still, the bottom-line result came in ahead of the median analyst forecast of ¥67.5bn, according to a Thomson Reuters survey, and was the biggest since the quarter ended December 2015.